The Xuron Corporation has been manufacturing precision pliers for the electronics and aerospace industries in Saco, Maine, since 1970. 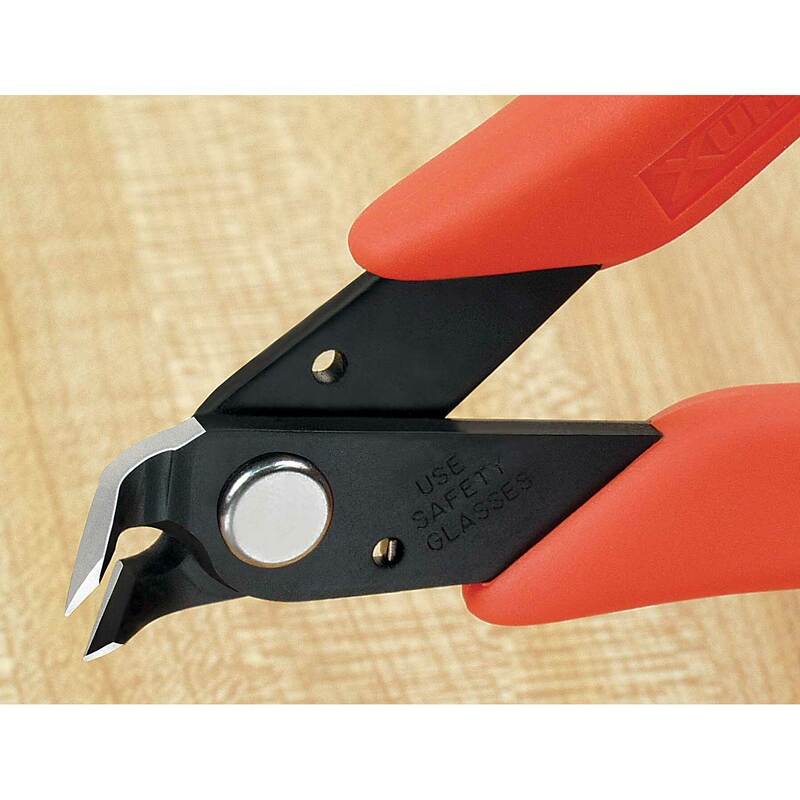 All Xuron cutters feature their patented blade bypass shearing action instead of the compression cut of standard cutters. This shearing action is made possible by the use of ultra-precision computer controlled grinders. That's why they cut so clean, square and close with half the effort of compression type cutters. Made of hardened steel with soft rubber grips and spring return. Angled High Precision Micro Shear not only cuts soft wire up to 20 gauge copper, but also plastic, paper, mylar, fabric and thread. It will even cut a single human hair! Ideal for cutting plastic model parts from molding sprues. 55 degree angled cutter head fits in hard-to-reach locations. 5 inches long.